I had the opportunity to spend a day with several mountain goats high on the canyon walls above the Clarks Fork River. Towards the end of day, I was ale to photograph the goat in twilight light reflecting on him. 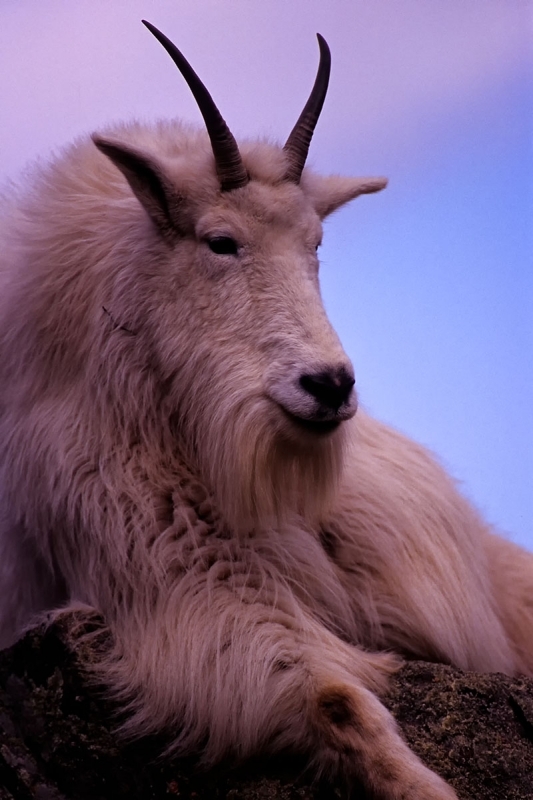 He extended his front leg and raised his head slightly to give me the mountain goats smile in a relaxing pose.